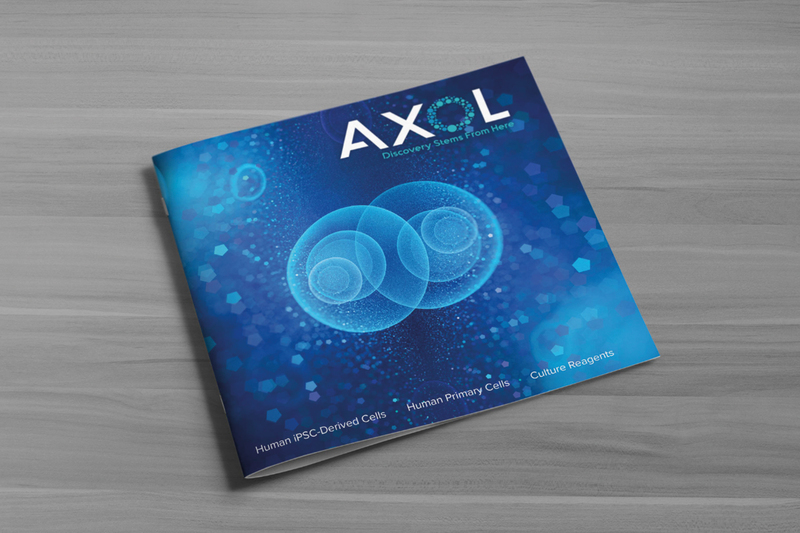 A dynamic new look for UK human cell specialists, Axol. 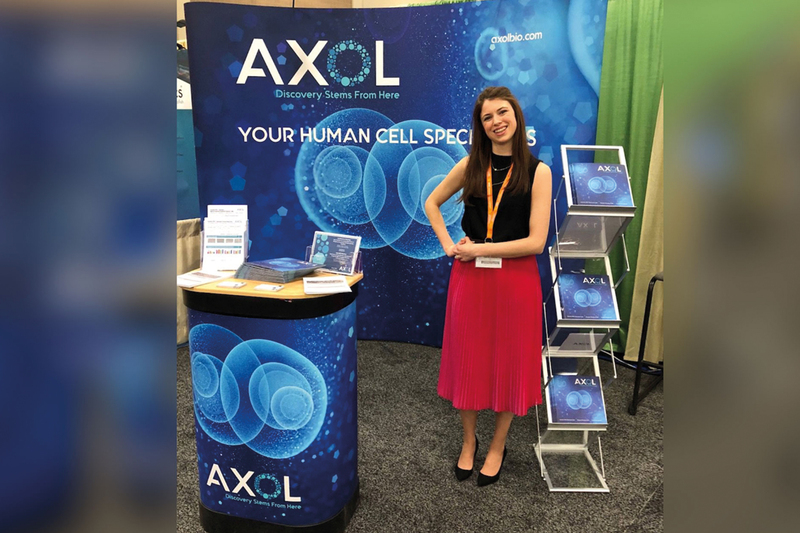 Axol Bioscience specialises in human cell culture and have a passion for great science, delivering epic support and innovating future products to help their customers advance faster in their research. 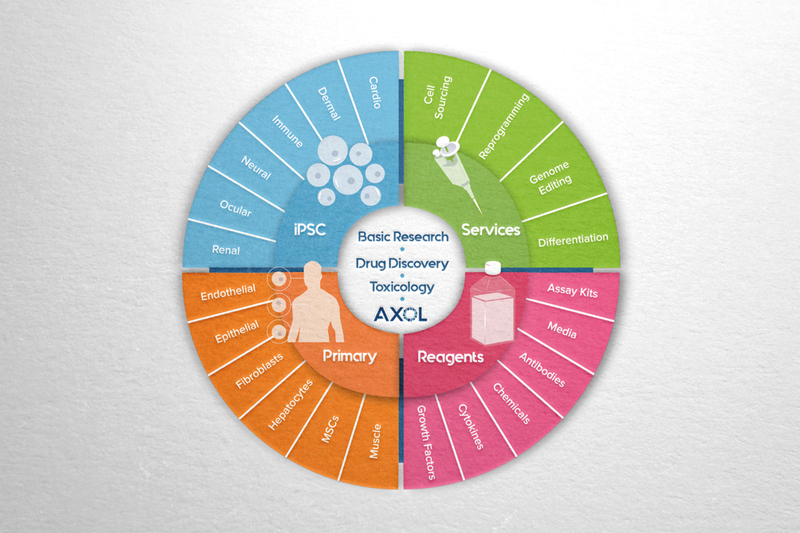 Based in the Science Village at Chesterford Research Park, Axol Bioscience are human cell culture specialists, providing primary and iPSC derived cells with a wide range of functionally and physiologically disease relevant backgrounds, together with optimised media and growth supplements. 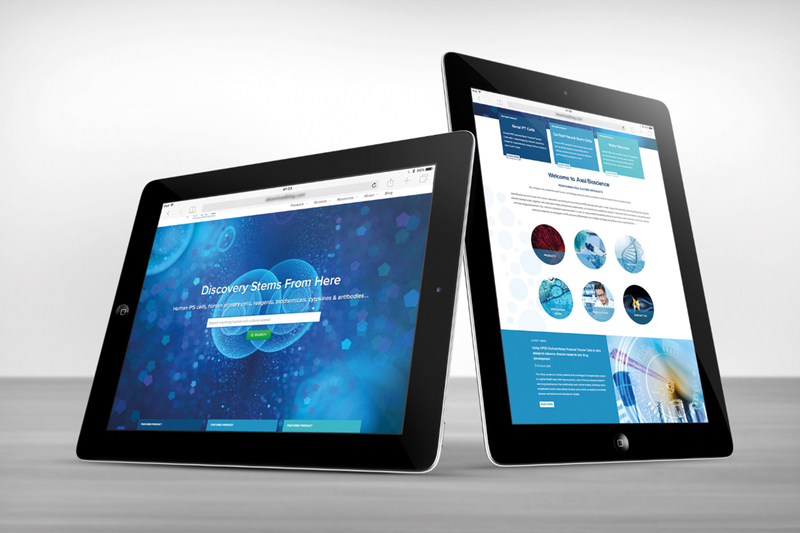 All of these are suitable for assays in basic life science research, drug discovery and toxicology assessment. 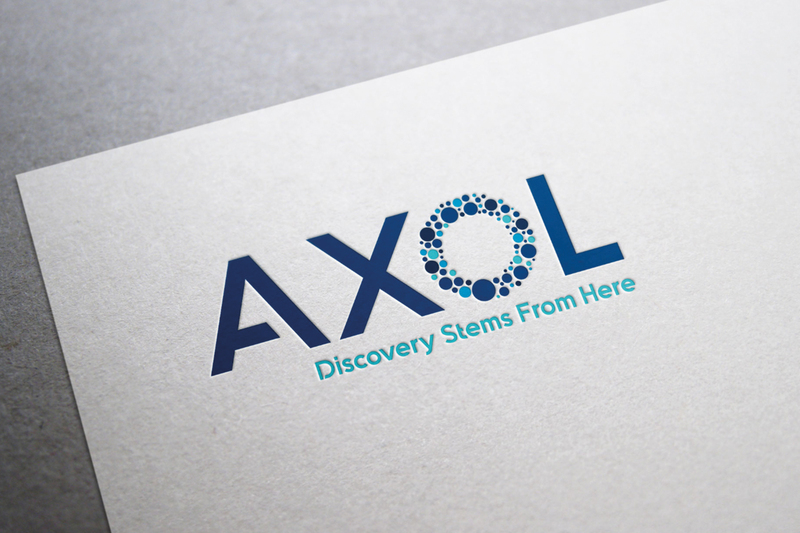 Axol’s original branding included a distinctive character called ‘Sal’ – an axolotl. Axolotls have amazing regeneration capabilities, which was very fitting for their company name to be derived from, given the nature of cell cultures. 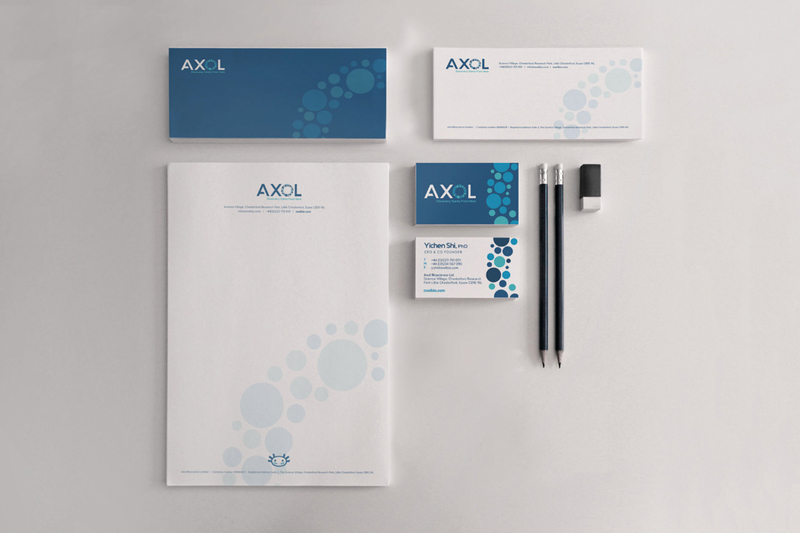 Part of the creative brief was to design a new brand for Axol, taking the focus away from the cartoonish approach. Due to the affection felt for Sal (and his female counterpart ‘Amanda’), Identity believed the axolotl characters required a rendering makeover and should still be included in the branding suite. 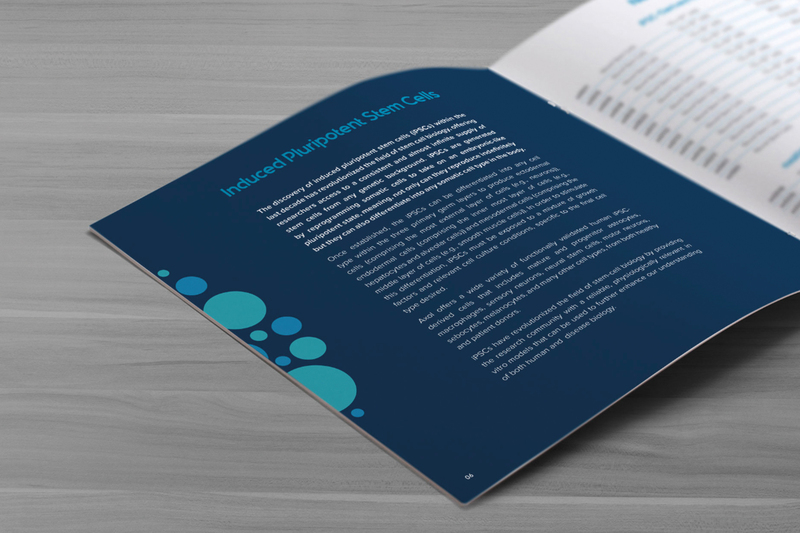 Now, you can see the two making cameo appearances throughout the online and printed marketing messaging, which includes a new website look, brochures, product packaging and exhibition stands.